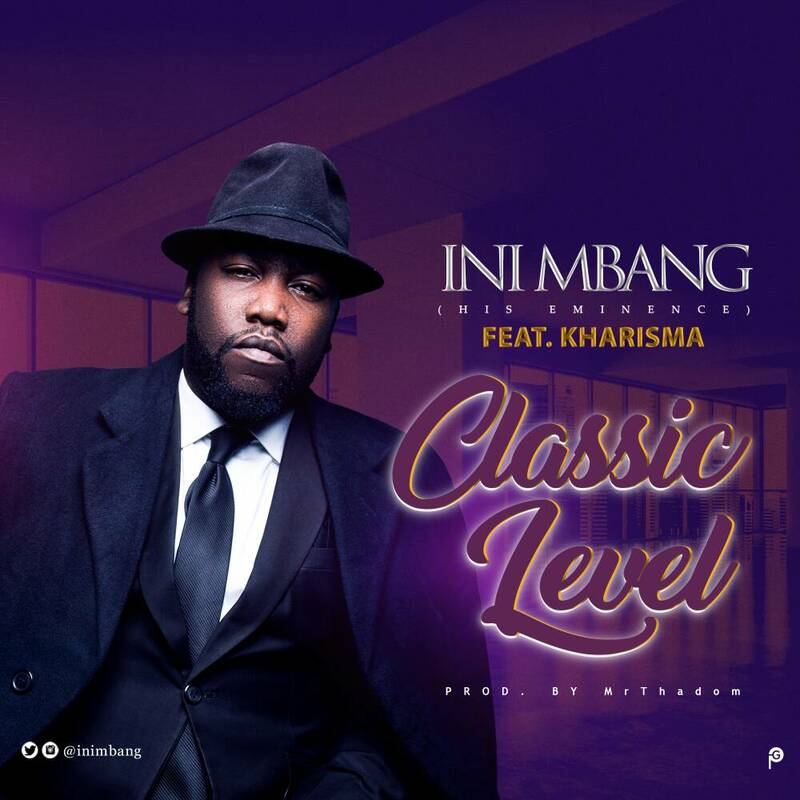 For his first time in 2018, Gospel music minister "Ini Mbang" drops this new tune titled Classic level. He teams up with fast rising Gospel Rapper "Kharisma" from Akwa Ibom State, who recently signed to work with Ini Mbang and Mr Thadom who engineered this potential Hit.. We’d definitely love to see more of this Ini Mbang,Kharisma and Mr Thadom combo. “Nigeria’s Prince of Rock n Roll; Ini Mbang draws inspiration for this single from his days as a young entertainer in Lagos going through the harsh events of life. “I have had it bad, from days with no money to even buy water, being used and looked down by people including those i loved, it has been tough. I remember after my 1st International TV interview many years ago the young Italian reporter told me you are truly blessed,creative,unique and Classic,keep winning and don't bother about what haters or unbelievers think about you.”The World will definitely Know you.. The song which has a melodious play of several modern instruments and strong vocal delivery was a result of another collaboration with the highly talented Mr Thadom. Moving from the Rock n roll tune of Just Like That. This single ‘Classic Level’ has a more commercial feel. Ini who is also called (His Eminence) said “When the desire to be great takes sleep,frivilous activities,fear and some friends away from you, not knowing how you will make it or get there,you must become classic and activate your winning mode, for the desire to achieve is greater than the fear of the unknown, ...i am continuously on a CLASSIC LEVEL”. Download the special number and hit Ini Mbang up on your favorite social media; Twitter and Instagram.